The opportunity to direct technology for the innovative leader in online education is an honor and a privilege. Pairing education technology with an innovative business model is how change happens. 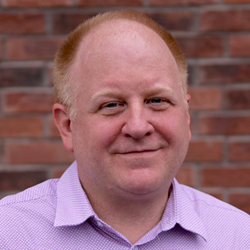 StraighterLine, the innovative low-cost online college course provider, today announced Glenn Maughan to the executive team, as VP of Technology. Maughan had been at PowerReviews during the past year as Chief Technology Officer and will now take on the senior technology role at StraighterLine effective May 23. "The opportunity to direct technology for the innovative leader in online education is an honor and a privilege,” said Maughan. “The StraighterLine approach is unparalleled in this space empowering both traditional and nontraditional students. Pairing education technology with an innovative business model is how change happens. I'm honored to be part of StraighterLine." Maughan will bring extensive experience to StraighterLine with respect to creating a true AGILE environment and developing technical operational processes company wide. Prior to joining StraighterLine, Maughan led technology activities at a number of high-profile companies, including PowerReviews, AtTask and Adobe; leading to operational excellence. StraighterLine takes the worry out of credit transfer with a College Savings Network of nearly 100 accredited colleges that guarantee acceptance of StraighterLine courses. Having been evaluated and recommended by the American Council on Education’s College Credit Recommendation Service (ACE CREDIT), StraighterLine courses will also be considered by more than 2,000 other colleges and universities for transfer to their degree programs upon request. Visit http://www.straighterline.com for more information.